Amazon and Microsoft are head to head in a competition to win the Department of Defense’s JEDI cloud services contract, Bloomberg reports. 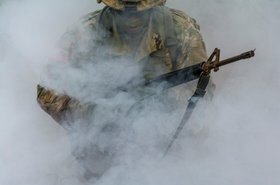 The US Department of Defense narrowed down the list of potential candidates to the two cloud giants from a list that included IBM, Oracle and other industry heavyweights. The company that claims the JEDI (Joint Enterprise Defense Infrastructure) contract will become the primary cloud provider and data repository for US military services worldwide, in a deal that could last up to 10 years, and be worth as much as $10bn. Amazon and Microsoft reached the final stages of the acquisition process as they were the only two competitors to meet “the minimum requirements” for the JEDI contract, according to DoD spokesperson Elissa Smith. A DoD spokesperson said that the contract will be awarded in mid-July at the earliest. 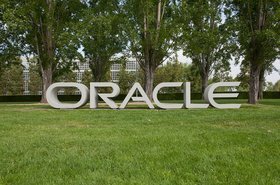 The Pentagon originally planned to decide on who would win the contract this month, but the department has been investigating a potential conflict of interest in response to a lawsuit brought forward by Oracle. Oracle accused former high-level Pentagon employee Deap Ubhi of tailoring the contract to favor Amazon whilst trying to sell his own company to the cloud giant. Ubhi disclosed his connection to Amazon to the DoD in 2017 and resigned two weeks later. Whilst working for the Pentagon in 2016, Ubhi worked on the JEDI contract and argued strongly that the contract should go to a single supplier, Oracle’s lawsuit contends. 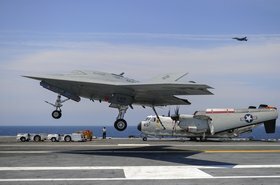 Tech companies including Oracle, IBM, Hewlett Packard Enterprise and Dell formed an alliance to lobby the DoD to share the contract among multiple suppliers, but the Pentagon argued that this process would be time consuming and prevent it from rapidly delivering new capabilities to soldiers. The DoD concluded that Ubhi’s involvement with the contract had “no adverse impact on the integrity of the acquisition process," and asked the court to lift a stay on the case and proceed with the contract competition. The investigation did, however, uncover unspecified “potential ethical violations” that would be forwarded to the DoD inspector general for further inquiry.